Oh, yes. 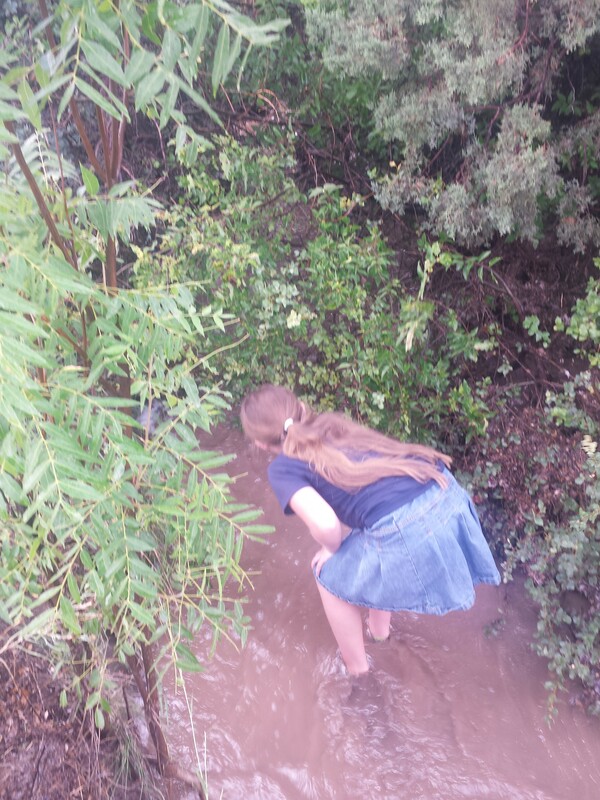 She actually just found this little creek on the back of our new property, after a big rain. What a surprise! It was exploring heaven back there! Oh, sweet wonder, do you not feel the water rising? Here, follow me to safety. Beautiful words to accompany the picture…..